We’ve never had an issue with excess bananas. Until Foodo came along and things like Banana Oat Muffins, Banana, Buckwheat, Blueberry Pancakes and Molly’s Banana Bread started appearing; and I had to stash bananas to ripen for these recipes..
Now all of the sudden, we have excess bananas it seems like EVERY week. I believe John’s conspired to get additional banana goodness through all these treats! I don’t even like bananas, but I think my tastebuds may be changing. This recipe is a dangerous addition to our banana repertoire because it is wondrous in its wonderfulness! You can make it into a pie or tart – it has the consistancy of a tart crust, but I rolled it out and sort of pieced it together into a pie shell because the only tart pan I have is humungous. Regardless of how you make it, this crust is packed with phenomenal flavor! The two part filling is simple and gives you a powerful flavor punch that, truly, transports you. In fact, it’s so good it could stand on its own, and I just might make it as a pudding type of dessert next time my bananas overfloweth. 1/2 Cup Butter softened, very soft! Turn the dough out on a well floured surface and roll out to 2″ larger than the pan you decide to use. Carefully transfer to a 9″ tart or 8″ pie pan and press/piece the dough into place. Prick the dough, with a fork, all over and place in fridge for 30 minutes. Bake the chilled crust at 450º for 10-15 minutes. Just until golden. Remove from oven and set aside. Stir constantly until mixture turns light brown, about 8-10 minutes. Toss to combine then pour into cooled pie shell. Place in fridge for another 30 minutes. 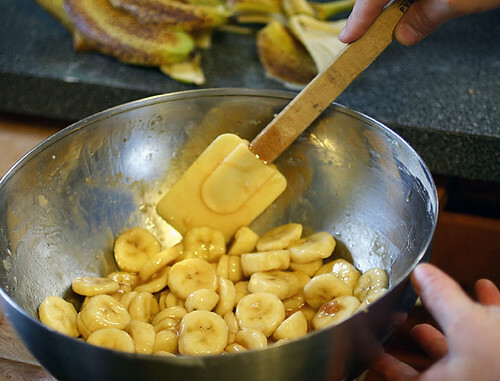 Pour mixture over bananas, making sure they are all covered. Bake at 350º until custard is set. About 15-20 minutes. Wow, this looks amazing! Thank you so much for sharing the link with me! If it has lime in it, it has to be good. Hard to imagine lime and banana, but it looks fantastic. Thanks for sharing. This looks delicious! 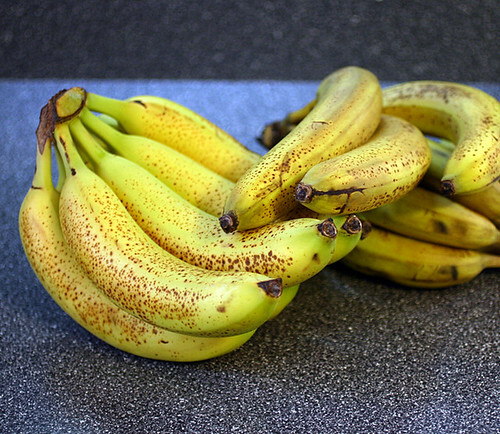 I love banana recipes, but sometimes agree, it’s tough for bananas to get ripe in my house! They always find their way into our lunches. This recipe is a great one to have on hand though when they do sneak up on me. I love the addition of lime! 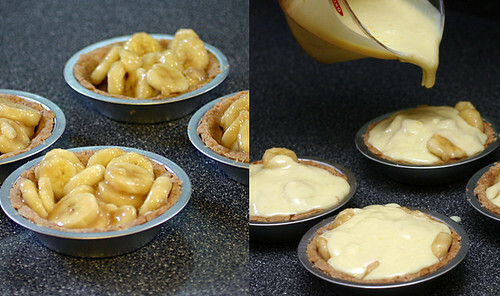 Nice – where I live we have fantastic bananas nearly all year round, so it’s always great to find a new recipe for them. And I love the lime ‘twist’. Thanks. How cute those little pie/tarts are! These look so good! I love banana anything so I have no doubt that I would just adore this! 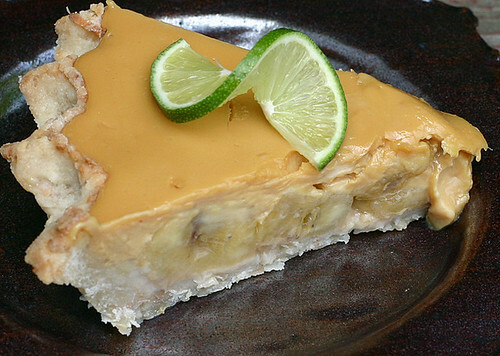 I really enjoy the combination of banana and lime. Great recipe you have here. I would never have put those two flavors together, but it sure looks good! 1-14 ounce of milk? It’s like 30-415ml? Any way you say it – this recipe has been on my mind for a couple months now, and I think you’ve convinced me I need to make it now. I’m thinking ’bout it like, for half a year, but have no time to try it. And just needed to translate the recipe and convert cups to ml or gram. I really hope the result will be as great as this one above.